Details: Two Bedroom, Two Bathroom Home with more than 1500 square feet. 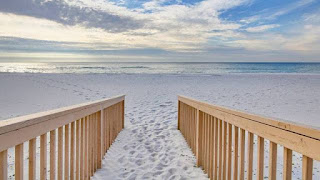 Destin Florida home, Silver Shells condominium for sale. This resort residence has been completely renovated fresh paint, new stainless appliances, new bedding, LR sofa, DR furniture, new drapes throughout, & outdoor furniture! Easy access with no elevator access to the spectacular gulf front pool & white sandy beaches from this huge, ground floor unit! Over 1500 s.f. of indoor living space with plenty of outdoor, gulf-front living space on the terrace and grills located nearby. Expansive 11 foot ceilings with a beautiful modern kitchen. Enjoy the convenience of a private underground parking & and a storage unit on the ground level just outside the unit. The laundry room has been converted to a small room with bunk beds, perfect for small children and a way to maximize rental income., St. Maarten building amenities include; onsite rental desk, 24 hour security services, covered & secured underground parking space, mail & package receiving desk, elevated and lushly landscaped Gulf front terrace with heated swimming pool, spa and pool attendants, state of the art fitness center and health spa, multi-purpose club room, tennis, basketball and volleyball courts, shuffleboard, beachside bar & grill. 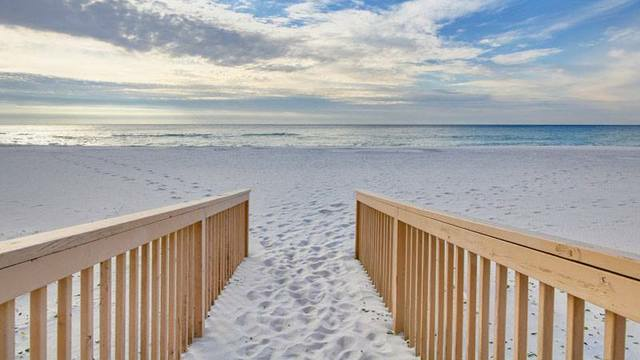 Outstanding rental income … Come see this amazing beach home at >>> Silver Shells Condo in Destin Florida.